What is true Islam? Is it a set of doctrines that operate like a perfect machine? Or is it a truth that expresses itself differently in different cultures, in different geographies, and in different times? And what does it mean to be a good Muslim? Can someone be a good Muslim and also be a bad person? These questions belong to Omar Saif Ghobash, who presents them in Letters to a Young Muslim, which explores what it means to be a Muslim in the 21st century. Ghobash is the United Arab Emirates ambassador to Russia, and his book is a series of letters written to his teenage son, Saif, who has come under the influence of Islamic fundamentalists who are teaching the boy how to hate. Through his letters, Ghobash hopes to change this and allow his son to think for himself before it’s too late and Saif forms faith in the path of violence. The letters are unsettlingly honest and intimate, the way Ghobash allows a reader to enter the private space of his mind, how he vulnerably shares his fears, shortcomings, and thoughts that could easily get him into trouble. 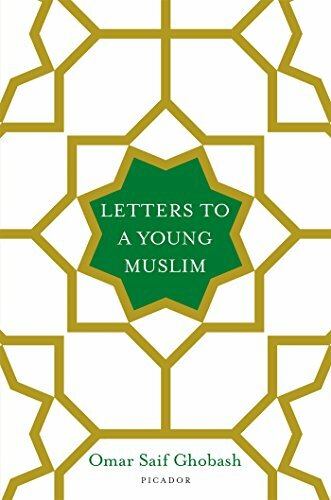 Writing Letters to a Young Muslim is an attempt to satisfy both of these obligations, to his family and to the world. Because the lessons he shares with Saif are lessons that everyone should know. And if we know them already, it won’t hurt to learn them again. There are lessons of Islam, the history of the prophet, the schism between the Sunnis and Shia, the system of hassanat and sayiat, the emergence of violence in Islamic texts of the 14th century, and contemporary Middle-Eastern politics. Ghobash moves through these sections swiftly, deftly, so that anyone can understand. The point is to know on what one bases his or her beliefs. Because “once you accept responsibility for your beliefs, responsibility for your actions follows smoothly.” Tellingly, members of ISIS who have been taken as prisoners know nearly nothing about the Qur’an or Islamic history. These are lessons that are universal, but Ghobash came to them from the personal. The first way fatherhood affected his life was in 1977, when he was a child and his own father was killed through an act of terrorism, shot by a Palestinian. Since his father was a supporter of the Palestinian cause, this raised many questions. But afterward Ghobash was encouraged to not ask questions about the assassination. Not to question anything at all was a part of Muslim culture. But Ghobash could never stop thinking about his father and the violent death. And “in attempting to come to grips with a father who was absent through violence committed in a political context,” he writes, “I have been exposed in a direct manner to the way in which we investigate matters. The limits of what we are permitted to know and what we can know. The boundaries of legitimate questioning and the self-imposed silence on the assumption that certain thoughts should not be expressed.” This is the thought process that allowed Ghobash to move from questioning something very personal to asking larger questions about Islam and Muslim culture, the decades of thought that he expresses in Letters to a Young Muslim. The personal and the political are, of course, inseparable,. In writing these letters to his son, Ghobash ties both close together while untangling the nuances of each. He also brings much needed wisdom to very difficult questions facing the world today. It’s quite a feat. Saif is lucky to have such a father.